In addition to only impacting Outlook on the web for Office 365 subscribers, the new look and features will also only be available for users who use Outlook on the web in conjunction with Exchange Online but is not just limited to Enterprise level subscriptions. Commercial, academic, and government plans that have Exchange Online should be receiving these updates within the next few weeks. Undo – Everything should have an undo button right? While this option has been standard in most Microsoft Office products such as Word and Excel, undoing unwanted actions in Outlook has traditionally been a bit of a process. Now users can click a dedicated “Undo button” to quickly undo unintended actions with one swift click of a mouse. Pin – No, Microsoft has not tried to turn Outlook into a similarly named social platform that lets you “pin” items to a board for future reference. The pin option in Outlook lets you pin any message in your inbox right at the top of the inbox so you don’t forget them. Once you select a message to “pin” it is highlighted in yellow and automatically moved to the top of your inbox – so important messages don’t get buried as new ones come in. 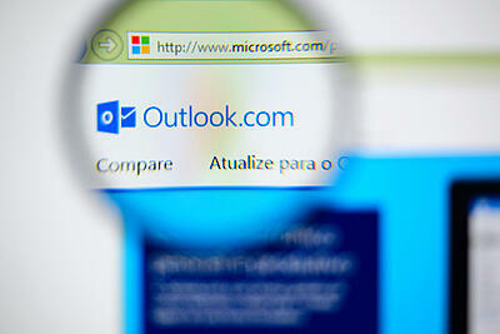 Sweep – This feature was initially rolled out to Outlook.com users (formerly Hotmail), but now is being integrated into Outlook for Office 365. Sweep lets users set actions for emails from specific senders. For example, you can choose to keep messages from one sender (say a clothing store, or a newsletter) based on certain parameters. You can configure sweep to only keep the most recent message, or only keep messages for a certain set of days. Sweep lets users customize their inboxes based on their needs. These are just a few of the many updates that are expected to roll out over the next few weeks for Outlook users with an active Office 365 subscription.